So, as a result of a last minute change in the line-up for our session this evening, I will be swapping out GURPS for 13th Age tonight. 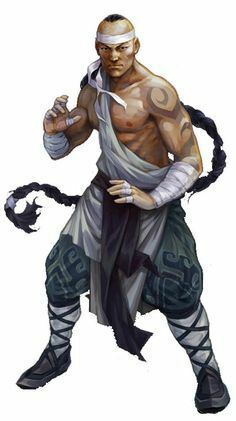 To that end, I have written up the following character for one of my players to use (a player who LOVES the idea of the 13th Age Monk). Armor Class 15, Physical Defence 16, Mental Defence 13. Claws of the Panther: You can spend 1 point of ki when your finishing attack misses all targets to use a flow attack instead of an opening attack with your next standard action – in effect you get to skip the opening attack of your next form’s progression. Flurry: You can use Flurry on escalation die 2+. Leaf on Wind: You gain +3 bonus to disengage checks. Leather Armor, Throwing Stars, Adventurer’s Kit. Ki Points: You can spend 1 ki point to adjust the roll by 1 point. Two-Weapon Fighting: When you roll a natural 2 on an attack roll, you get to reroll it. 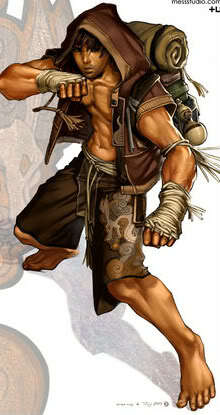 Ki-Power: You must be engaged with 2or more enemies to use this power. After making a Flurry attack, you can spend 1 point of ki to make another Flurry attack against a target you have not already attacked with Flurry this turn. The first time you make a melee attack against each enemy during a battle, the target takes 2d6 extra damage on a hit. Ki-Power: When you deal Greeting Fist damage, you can spend 1 point of ki to double that damage (as usual, a crit would then deal triple that damage). Once per battle when you use a move action, you can take another move action as a free action. In addition, if you fall with a wall, tree, or other physical object next to you, you can fall up to 60 feet without taking damage. Ki-Power: You can spend 1 point of ki during your turn to gain flight until the end of your turn. When you use this attack, you can pop free from one enemy anytime during that turn as a free action. Natural Even Hit: As a hit, plus when an enemy engaged with you targets you with an attack before the start of your next turn, you can deal 2d6+3 damage to it as an interrupt action. Natural Even Miss: Half damage. This week I was hoping to have my conversion of the Pathfinder Oracle class ready to share with you folks. Unfortunately, that project is taking longer than any of my other class conversions have, so it won’t be up until later this weekend. For my Friday posting, I decided to share the rules that my buddy Jeff and I came up with for a 5E monastic tradition based on the 13th Age Monk class. 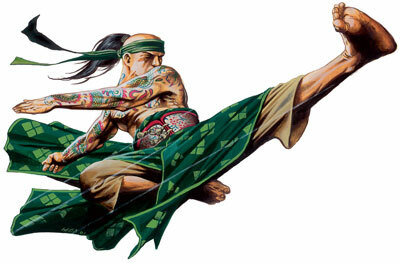 As background, the 13th Age Monk has a series of abilities that “chain” together like the combos from a video game, escalating from minor lower level attacks, through to powerful finishing combos. The monk characters have to work up to the finishing moves, doing a first technique attack first, then a second, and then finishing with a devastating, third attacks. The monk character can mix and match the martial arts “forms,” using a 1st Technique from one form, then a 2nd Technique from another, and finishing up with a powerful 3rd Technique from a third. 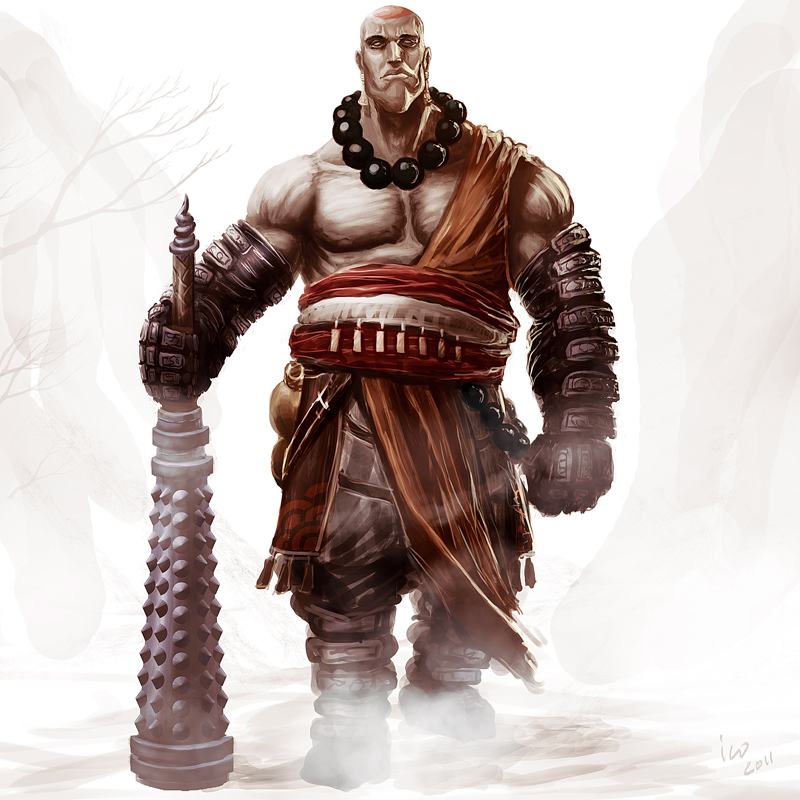 For the 5th Edition version of this monk, we applied the same rules, requiring a monk to work their way up, round by round, through the tiers of techniques, but they can use techniques from any of their forms to fill that requirement. To add an element of uncertainty to the forms, we decided to go with contested ability rolls for the targets to avoid damage or deleterious effects, rather than just use saving throws. I think this adds more complexity that is consistent with 5E design philosophy, but…well, we’re ignoring those principles in this case. If you feel this adds more complexity than necessary, you could substitute Dexterity or Strength savings throws with a DC of 8 + Proficiency bonus + your stat bonus. In terms of how many “forms” a character gets, we are currently ruling that a Way of the Thousand Masters monk gets two forms at 3rd level, then another at levels 6, 11, and 17. As we play through, we are thinking that we may add another ability at 17th level, but, for now, we’re just going to cross that bridge when we get to it. These rules should be considered to be in the playtest stage (including the names of the Forms), as we haven’t had a chance to put them through their paces in the 5th Edition D&D campaign they were created for, but if you choose to break them out in your own campaigns, I would love to hear how they work for you, at the table. 1st Technique: As an action make two attacks, each on a different target, doing only half damage on each. 2nd Technique: As an action make three attacks, each against a different target, and gain a free Dash or Disengage action. 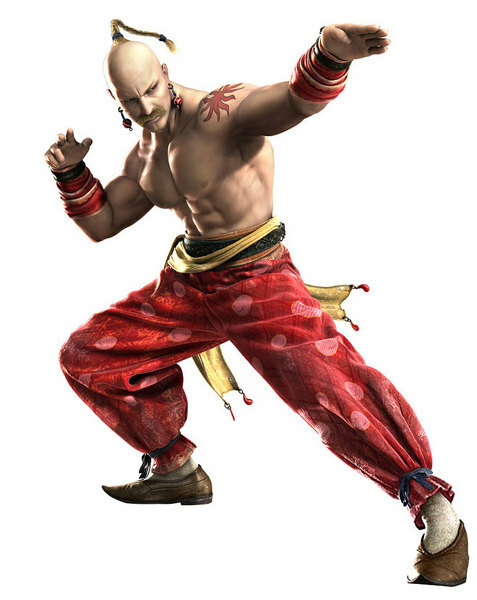 3rd Technique: As an action you can spend 2 ki points to make a whirlwind attack and all enemies within 10 feet must succeed on a contested Dexterity (Acrobatics) check or take damage equal to double your unarmed attack and be knocked prone. Those who succeed take damage equal to your unarmed attack. Until the start of your next turn, your movement does not provoke attacks of opportunity. 1st Technique: As an action, make two attacks at disadvantage on the same target. 2nd Technique: As an action, make a single attack with advantage on the same target as before. You do double damage on a hit and the target must make a Strength saving throw vs. Strength (Athletics) or be restrained. 3rd Technique: As an action, you can spend 5 ki points make a single attack on the same target as before. You do double damage on a hit and the target must succeed on a contested Strength (Athletics) or be affected by the confusion spell. At the end of each of its turns, an affected target can make a Constitution saving throw to end this effect. If it succeeds, this effect ends for that target. 1st Technique – As an action, make two attacks and all attacks against one adjacent ally suffer disadvantage. 2nd Technique – For one round, you make attacks as normal, but you may sacrifice any attack available to reduce damage done to an adjacent ally or yourself by the amount of damage your attack would do. Attacks against you and your adjacent ally suffer disadvantage. 3rd Technique – As an action, spend 2 ki and all enemies within 10 feet must make contested Strength (Athletics) check. If they fail the roll, they take 4d6 bludgeoning and are knocked back 10 feet. If they succeed, they take 2d6 bludgeoning and are not pushed back. 1st Technique – As an action, make two attacks against two different targets and pick a third. The third target has disadvantage on attacks against you until the start of your next turn. 2nd Technique – As an action, make three attacks against three targets. One of those targets takes disadvantage on all attacks and saves until the start of your next turn. 3rd Technique – An action, spend 3 ki to make six melee attacks against a single target, who must succeed in a contested Strength (Athletics) ability check or suffer disadvantage on all attacks and saves until it is out of your melee range. 1st Technique – Use a bonus action to touch an adjacent ally. That ally gets to make a new Death save, adding your proficiency bonus to the result. 2nd Technique – As a reaction, when an adjacent ally dies, you instead cause them to stabilize. TIME TO BREAK OUT THE KUNG FU GRIP! Later this weekend, I will have my version of the Oracle up for your review, but, in the interim, I hope you enjoy this option for the Monk class! Howdy all and welcome to the inaugural post for the Dungeon Musings blog! My name is Kevin, but for the purpose of this blog, you can call me the Dungeon Muser. I am a Dungeon Master/Game Master and player with over 30 years of tabletop roleplaying experience, most of which was spent behind a DM’s screen. I will be using this blog as a venue for sharing my thoughts on, and designs for, tabletop roleplaying games. For those who are visiting Dungeon Musings for the first time, this blog will be a repository for articles relating to tabletop roleplaying games, reviews of gaming products, and a wide range of original material for use in tabletop roleplaying games, including but not limited to, Dungeons & Dragons, the Pathfinder RPG, the Iron Kingdoms RPG, the Legend of the Five Rings RPG, the Shadowrun RPG, the DC Adventures RPG, the Star Wars Saga Edition RPG, and the 13th Age RPG. This blog will be not be restricted to any one game or topic and will, instead, follow wherever my fancy takes me. For the last few months, the newly released 5th Edition of Dungeons & Dragons (“5E”) has been monopolizing my attention, so I expect that the first round of articles here will focus on 5E-related material. I expect that I will be posting new material a couple of times a week, but the frequency of posting will largely depend on how much material I have to share. That said, I can guarantee that there will always be new material available for reading on Friday mornings, come hell or high water (incidentally, high water deals 2d10 bludgeoning damage, with a DC 10 Dexterity saving throw for half damage). Finally, if you have any questions or concerns regarding any of topics I discuss on this blog, or if you have suggestions for future entries, please feel free to contact me at dungeonmusings@gmail.com and/or on Twitter at @dungeonmusings. So, that’s who I am, what I have planned for the Dungeon Musings blog, and how you can contact me! I look forward to taking this journey into tabletop gaming and I hope you’ll join me! And now…it’s time to get to the gaming.